Stock Market Today, Aug. 27, 2014: U.S. stock markets remained relatively unchanged this afternoon, maintaining their record highs. On a day of very light volumes, most of the attention focused on monetary policy in Europe and several retail companies that reported earnings today. On the international front, the German 10-year bund yield struck a record low, falling to 0.91% today. European equity and bond markets are quickly reacting to increased speculation that the European Central Bank (ECB) will begin its own massive round of quantitative easing. Last week, ECB President Mario Draghi said in a speech that the central bank could begin stimulus efforts very soon to help refuel struggling economies in Germany, Italy, and Spain, among others. Best Buy Boom: Shares of Best Buy Co. Inc. (NYSE: BBY) were up 6.3% on the day, registering the S&P 500's largest gain, after JPMorgan Chase & Co. raised its price target on BBY from $35 to $37. RBC Capital also raised its price target from $34 to $36. Today's boost was a strong bounce back from yesterday's share price drop after the firm slashed its 2014 sales outlook. Retail Reports: With domestic attention drawn to the retail sector this afternoon, a few notable names reported earnings. 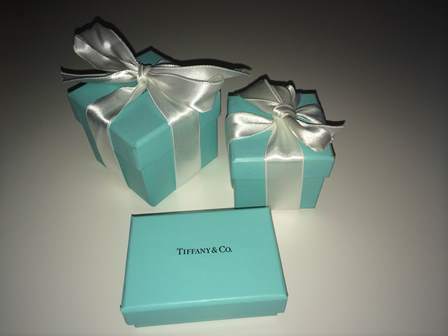 High-end jewelry maker Tiffany & Co. (NYSE: TIF) saw shares jump nearly 1% after beating second-quarter earnings expectations and increasing its 2014 profit outlook. Meanwhile, Chico's FAS Inc. (NYSE: CHS) slipped roughly 4.5% after the company announced second-quarter per-share earnings of $0.20, well below Street expectations of $0.27. Slumping: Shares of Digital Ally Inc. (Nasdaq: DGLY) finally saw a sell-off after a remarkable August run that has seen shares rise more than 200% – and we called it. Shares slipped almost 20% today on heavy volume. Since the shooting of an unarmed teenager by a Ferguson, Mo., police officer, significant interest has been paid to the company's product line of wearable cameras. Public officials, anti-violence advocates, and members of the media have called on police officers to wear body cameras while on patrol since the incident, citing statistics that show physical force by police declines when they are wearing cameras. Another Hot IPO: While the market anticipates the largest IPO of the year in Chinese e-commerce giant Alibaba (NYSE: BABA) on the New York Stock Exchange, another IPO jumped on the radar. According to reports, LendingClub, the nation's largest provider of peer-to-peer loans, has initiated plans to raise $500 million during its effort to go public. The company is part of a new wave of peer-to-peer loans aimed to address the fact that major financial institutions have reduced their product offerings in the consumer loan business. Happy Trails: Americans should enjoy traveling on Labor Day weekend more than they did in recent years. That's because gasoline prices for the travel holiday have hit their lowest levels for the weekend since 2010. According to the AAA Daily Fuel Gauge Report, the U.S. average for a gallon of regular gas sits at $3.43, down from $3.54 the same period last year.